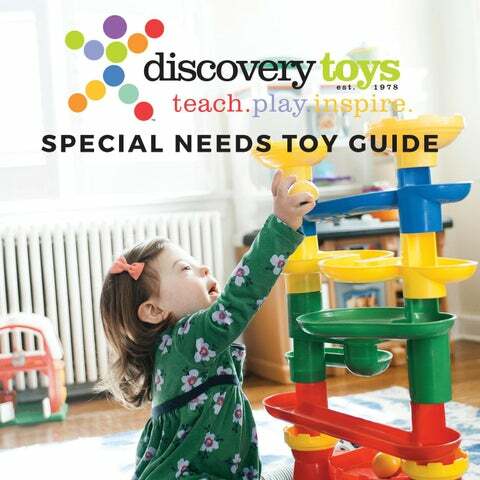 Since 1978, Discovery Toys has been committed to helping children learn and grow through play by offering the most outstanding developmental toys, books and games available for children of all abilities. For decades, therapists like Dr. Jennifer Jones have recommended Discovery Toys to their special needs clients. 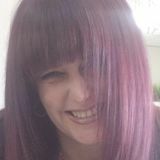 Jennifer and I have designed this guide to share some of our best products with parents, caregivers, therapists and educators of children with Special Needs. In this guide, you’ll find a variety of products under specific skill categories. We encourage you to adapt the products to your child’s developmental level and interest. TRY-ANGLE #1451 Twist, turn, whirl and twirl! This portable, foldable hands-on activity center intrigues tiny eyes, ears and fingers. Try-Angle features 5 sides each with different colorful parts to observe, listen to and manipulate. Lay flat for early tummy time; then, as baby grows, fold for sit-up or tabletop play. Stand up on its side on a tabletop to encourage standing! Develop small motor dexterity and manipulation by encouraging baby to move, turn, spin, push, slide and twist individual moveable parts. Stimulate auditory skills with a variety of intriguing sounds. Gross Motor skills are attained by stabilizing the torso and utilizing the large muscles of the body, including the arms and legs. These skills require balance and coordination to achieve activities such as reaching, throwing, crawling, and walking. Toys that allow for repetitive movements help build motor memory, which improves development of these skills. CASTLE MARBLEWORKS® #1756 Have fun dropping the 3 weighted chime balls down the interchangeable tracks of this large sized marble run building system! Experiment with different construction possibilities and outcomes! Use less tracks or rearrange them. Encourages Standing, Problem Solving and Pretend Play. Practice fine motor dexterity and coordination by dropping the balls in and stopping them along the tracks. Chimed balls enhance play with multisensory stimulation. Includes 8 pieces. Pictured on cover. information based on their senses (touch, taste, smell, sound, sight, vestibular and proprioception). Toys that help children process sensory information are toys with varied textures, different sounds, and multi-leveled surfaces. RAINFALL RATTLE #1153 Treat little eyes and ears to a stream of colorful, cascading beads. Turn or tilt it just a little bit, then watch and listen! The beads fall gently from end-to-end, through the 8 levels and then back again in this fascinating musical toy. Perfect size for small grasping hands. Develops dexterity and coordination by shaking, turning over, rolling on a surface, and standing up on either end. #3745 Lock a wing on the easy-grip launcher, pull the cord and watch it soar. Then chase and catch the spinning wing. Strengthens fine and gross motor skills. Keeps kids engaged and playing outside. Teaches aerodynamics and simple physics as they control the altitude and direction of flight. TACTILE SAND #2883 Tactile Sand is 98% pure sand. It can be easily molded and shaped, with no stickiness and no water required. It never dries out, so you can mold and sculpt over & over. Comes with a roller and 3 sculpting tools. Improves fine motor skills and inspires creativity. Provides tactile stimulation and comfort. Discovery Toys offers many developmental toys that can assist children who have been diagnosed with Autism. Toys that allow children an opportunity for sustained engagement, cooperative play, expressive and receptive communication, task completion and pretend play help them develop the necessary skills to function in everyday life. SUSTAINED ENGAGEMENT MOTOR WORKS #2266 Junior-mechanic set with a working power tool and a shop full of parts to build 3 vehicles. Rev up this kid-powered rescue truck and send it speeding towards the imaginary hot spot. Once you arrive, flip open the side doors and extend the ladder & hose toward the blaze. Become part of a growing North American team that believes investing in our children is of paramount importance!